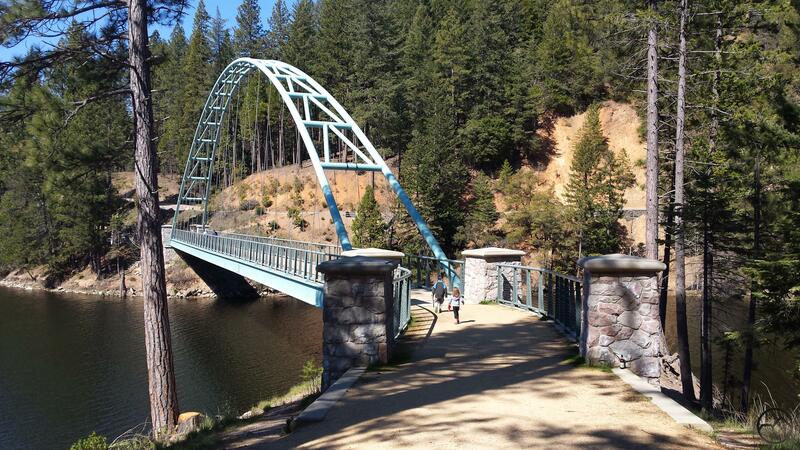 My two older kids run over the Wagon Creek Bridge at Lake Siskiyou. Up here in Mount Shasta, we have definitely seen a solid winter when it comes to precipitation. It was not an onerous amount of snow, but it was enough to blanket my house in a couple feet of snow more than once and there were several smaller snow storms thrown in for good measure. Add the copious rain and it is understandable that Shasta Lake would fill up in one season. Now that we are moving out of the rain and snow season (though not totally out yet!) it is time to start evaulating where things stand in terms of the drought. Snow still covers the mountains, but how deep is it? The official reports from measurement stations have now begun to trickle in for this part of the state. Though by no means are the reports complete yet, it does seem that we have a roughly average snow pack. Some areas are considerably higher while a couple others are noticably nower. These outliers aside, the percentages look quite average. Under these conditions, it is amazing that the lake filled up so quickly. Of course, the snow pack does not necessarily reflect total precipitation, since we did have a few large storms that dropped a warm rain and resulted in little snow. Either way, a full reservoir and a spring thaw to go is a good position to be in while in a drought. You can see the lake levels here. For a visual, check out the webcams here and here. Yet how did the rest of California fare? The drought has been severe and statewide and the snowpack in the rest of the Cascades and the Sierra Nevada matters significantly. Scanning the results of the snowpack report, it seems the rest of the mountains in Northern California did not fare quite as well as the Mount Shasta area. They had strong winters but seem to be a little less than average overall. While this is not optimal under the drought conditions, it does provide a little breathing room come summer. Let’s pray next winter will also be strong.